Here is to this guy, for FINALLY doing something about those poser Rock’n’Roll movers. p.s. hope you all have great weekends! Have a great weekend yourself, Jillian. If nothing else make it great yourself. They look like, wow, they would really understand and like appreciate moving cool stuff and like . Random. I feel like you can’t start a company like that without be the coolest people! Totally! They couldn’t be cooler. Next time I move, they’re my guys! haha. That truck reminds me of one of my neighbors’ truck, when I used to live in South Carolina. His truck said real big on the sides of it: “HIRED KILLERS”. And then real small underneath it about them being pest exterminators. 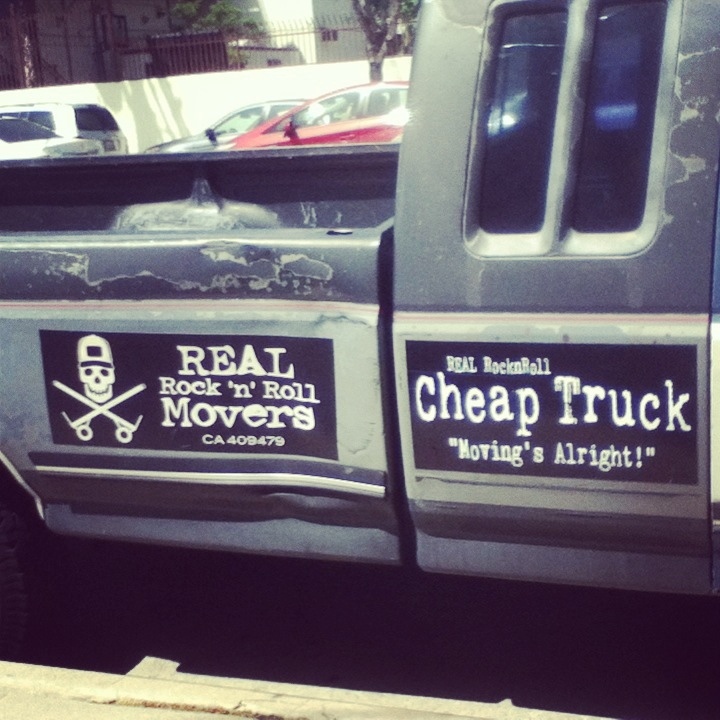 Totally love that CHEAP TRUCK – hilarious! Thanks for the giggle.